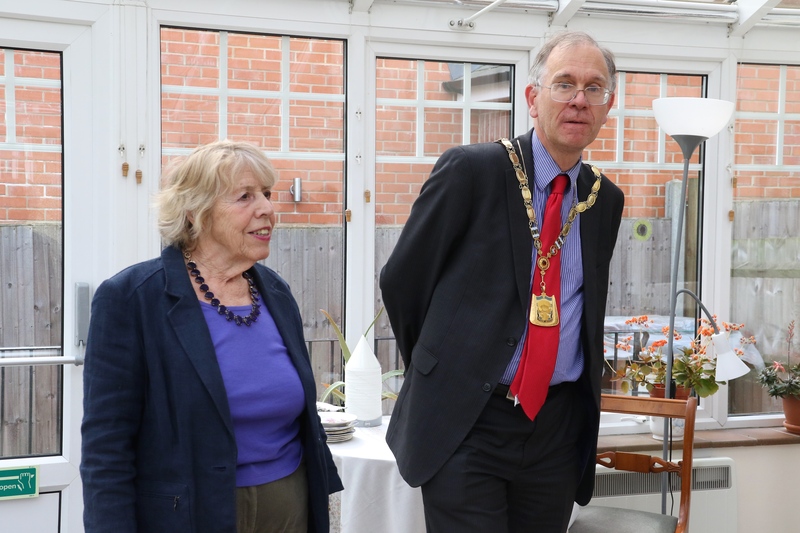 On 10 April, Hurstleigh Homes’ Lorna Cozens and Katrina West, residents and some members of the Management Committee, welcomed Three Rivers Chairman, Chris Lloyd, to the Chorleywood retirement complex for afternoon tea and a tour of the gardens, flats, lounges and conservatory. The sun shone, it was warm and they were able to serve tea on the patio. 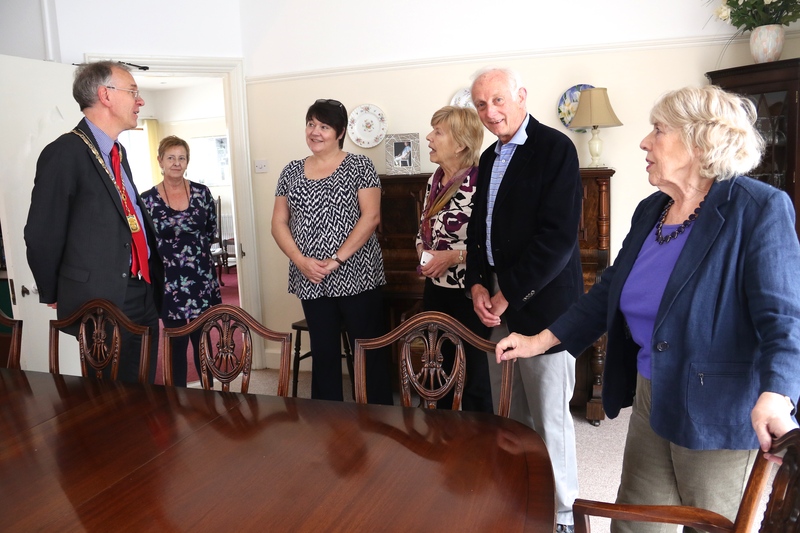 Chris sat with the residents and talked with them about living at Hurstleigh, which produced enthusiastic responses about their lives here and the dedicated staff. In return he outlined his committed and interesting term of office as Council Chairman; he said that he had not visited Hurstleigh before and was delighted to have been invited.